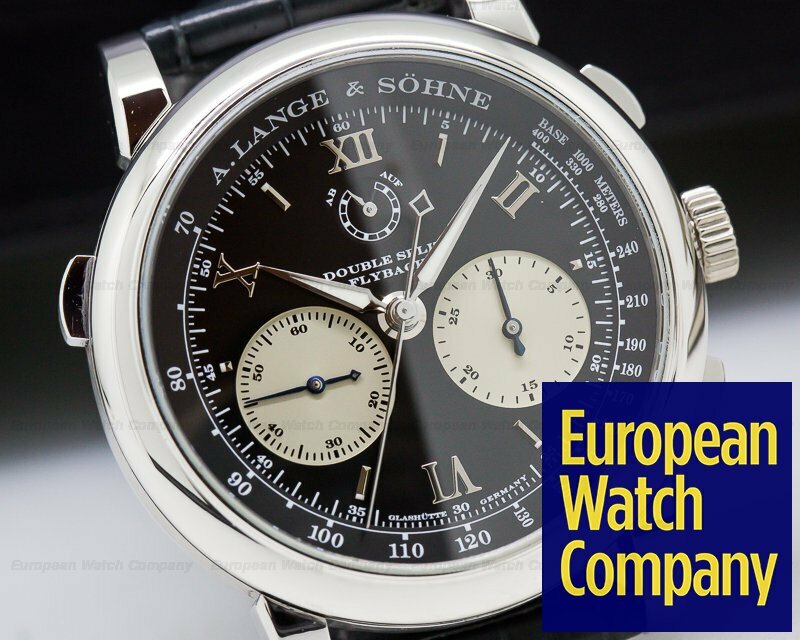 30644 A. Lange & Sohne 404.035 Double Split Rattrapante Flyback 404035, platinum case on an alligator leather strap with a platinum deployant buckle, manual wind Lange caliber L001.1, 38-hour power reserve with indicator at 12 o clock, split seconds, black dial with white subdials, tachymeter, sapphire crystal, display back displaying the depths of one of the most gorgeous wrist watch movements ever, water resistant, size: 43mm, thickness: 15.3mm. 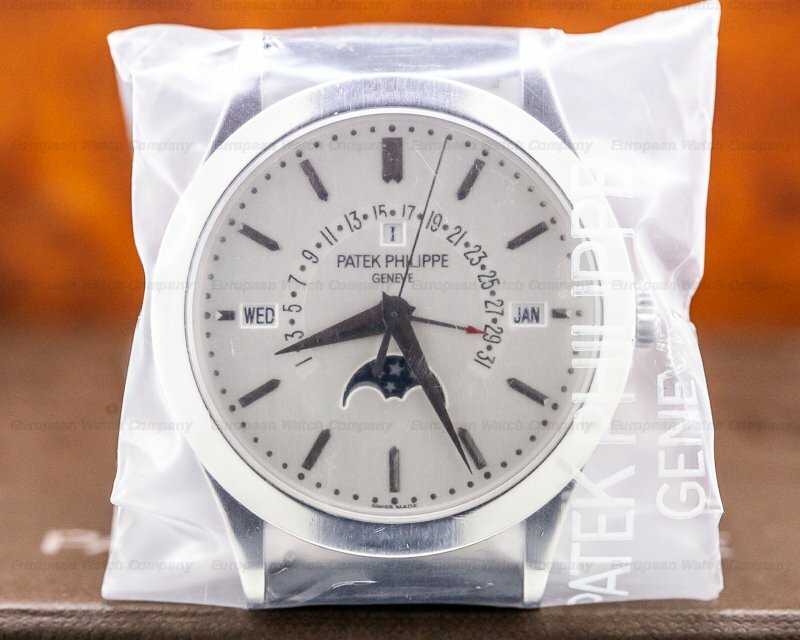 Like New with original box and papers; dated 9/2005. 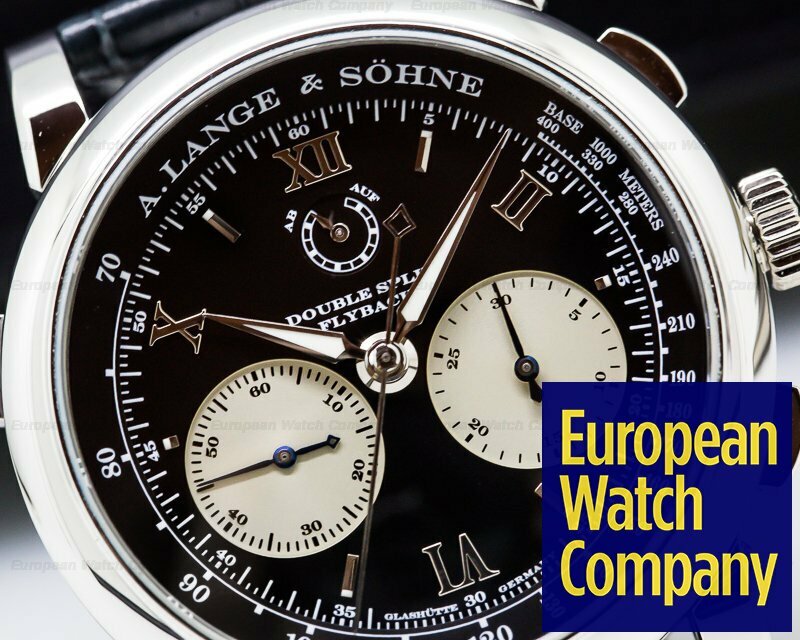 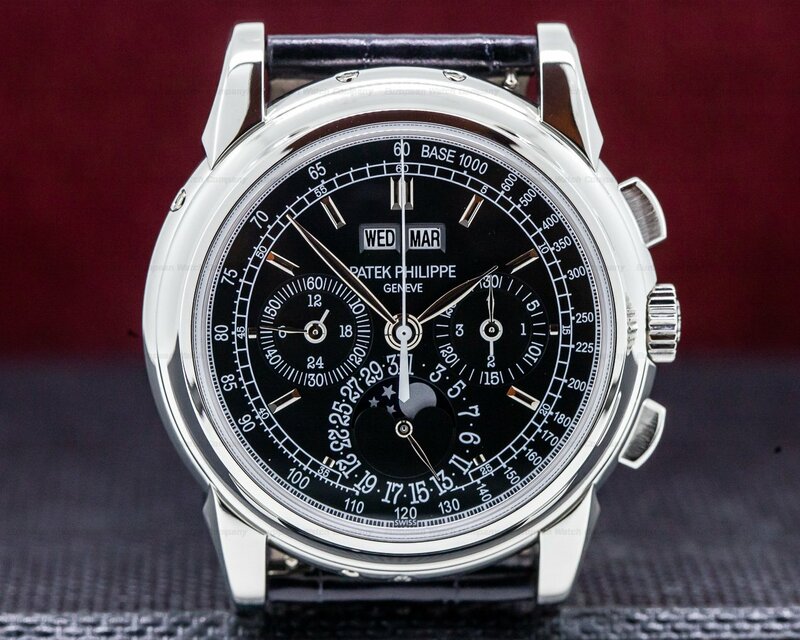 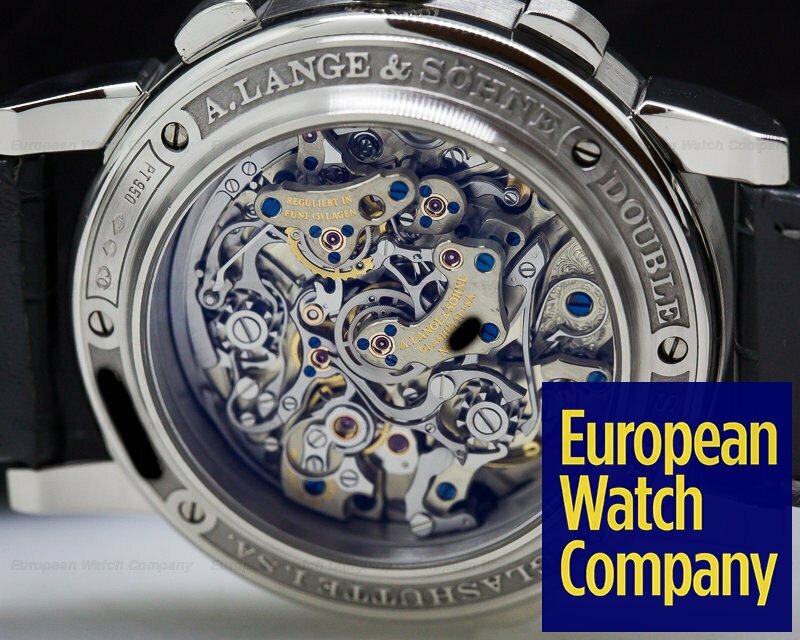 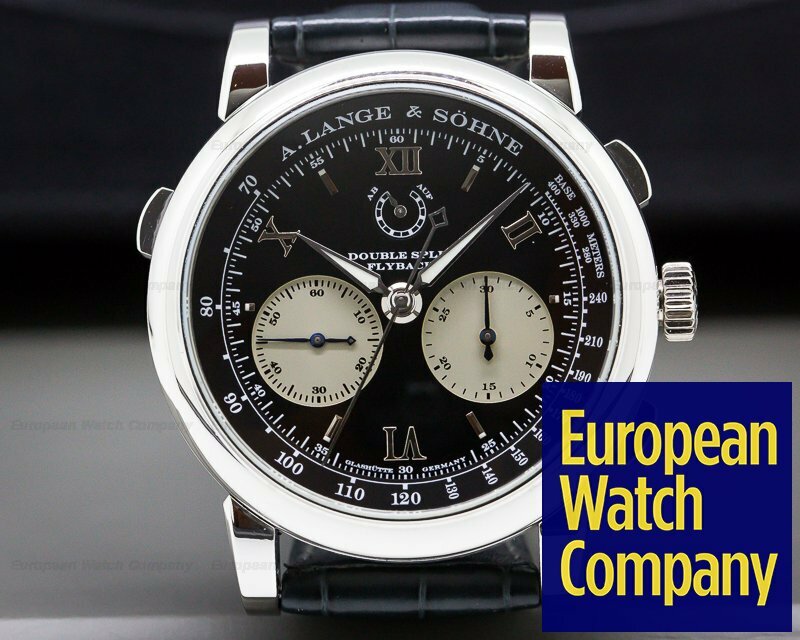 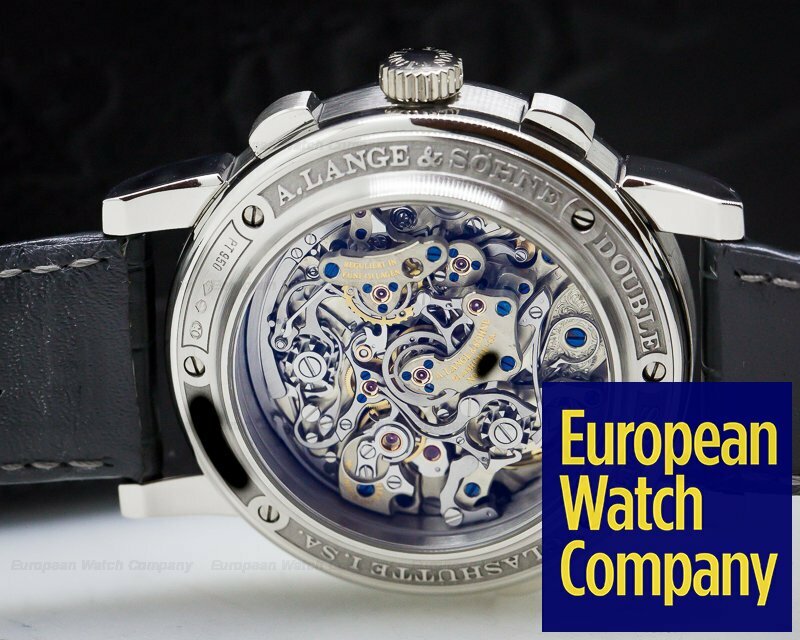 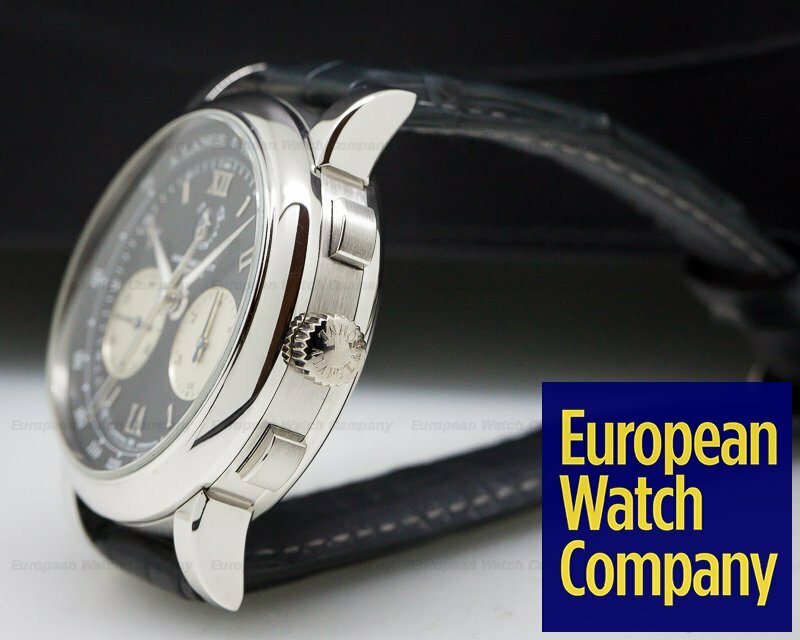 This is a platinum A. Lange & Sohne Double Split Rattrapante Flyback 404.035. 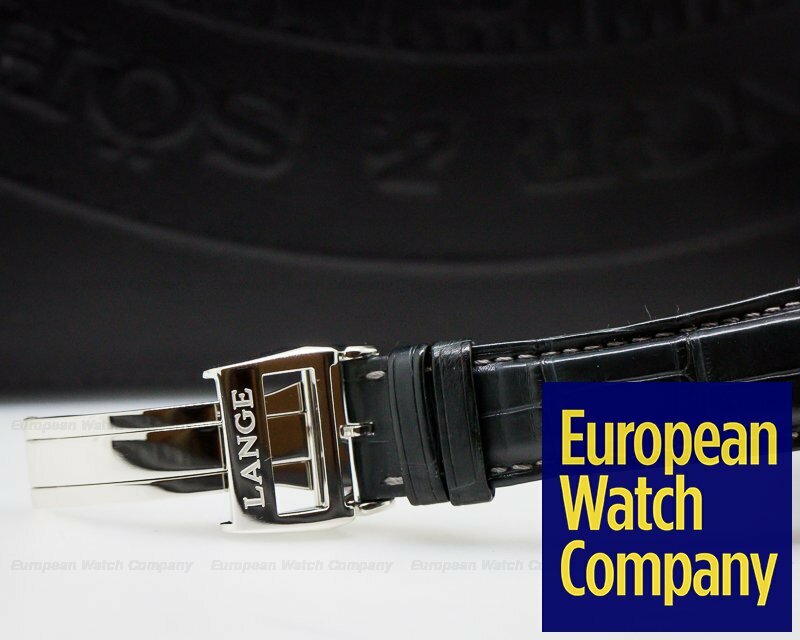 It has an alligator leather strap with a platinum deployment buckle, a scratch resistant sapphire crystal, and a pull-out winding crown. 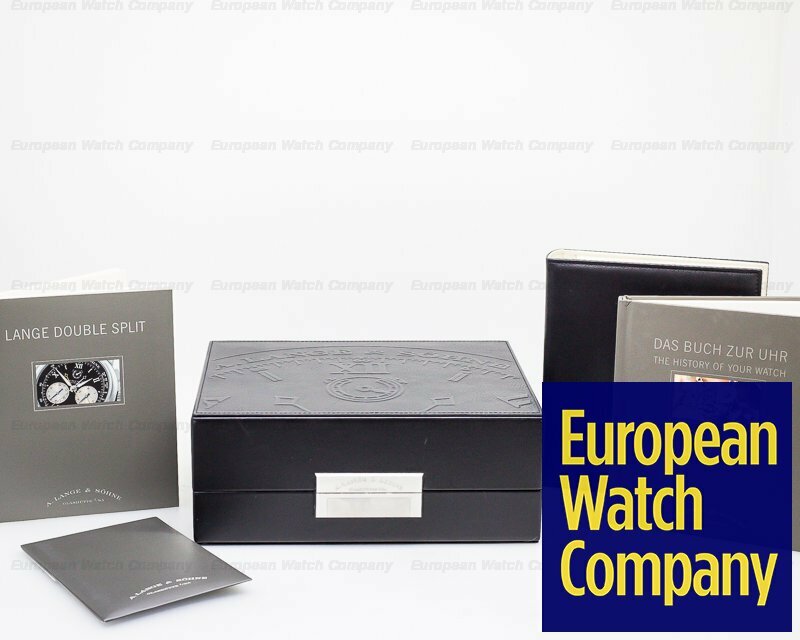 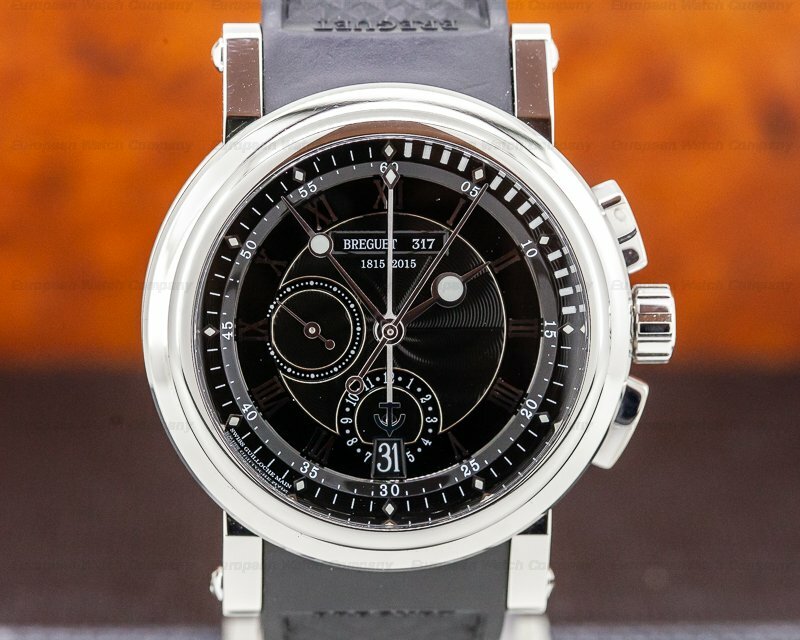 It has a screw-down exhibition sapphire display case back secured with 6 screws, and rectangular chronograph pushbuttons, including another pushbutton on the band at 10 o'clock to activate the split function. 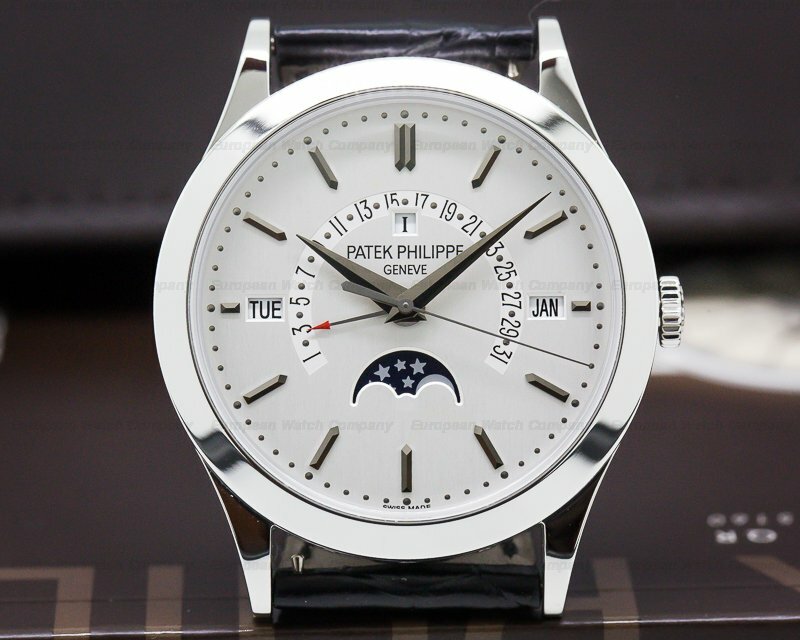 The 43mm diameter solid three-body case, rounded bezel, and downturned lugs are polished. 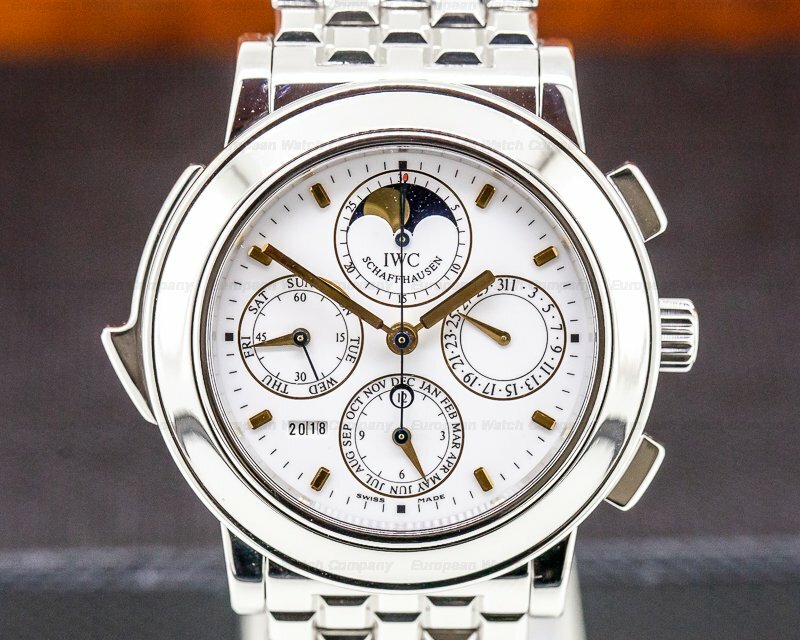 The dial is black with applied radial white gold Roman numeral and faceted baton/dot indexes, luminous white gold alpha hands, and a center sweep chronograph hand. 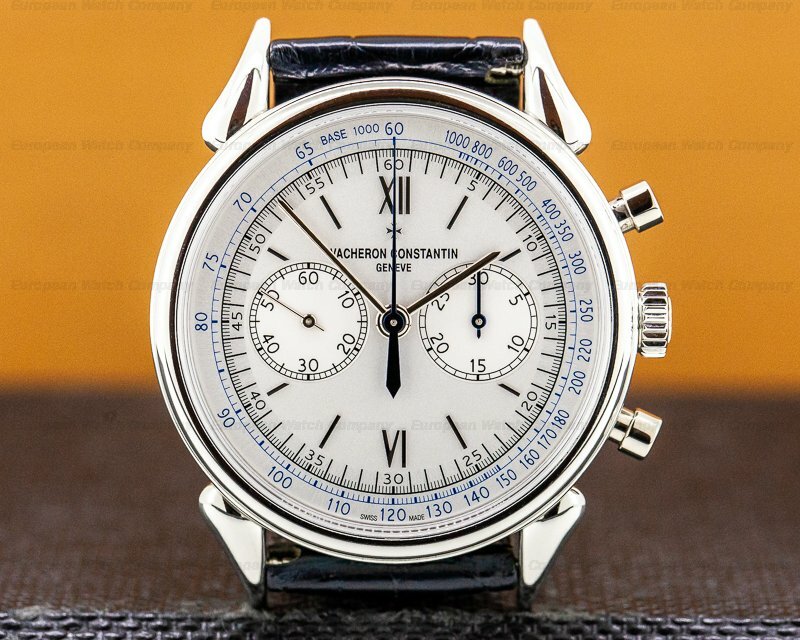 There is a minute/second track with white Arabic numeral markers every five minutes, and an outer tachymeter scale to 400 UPH. 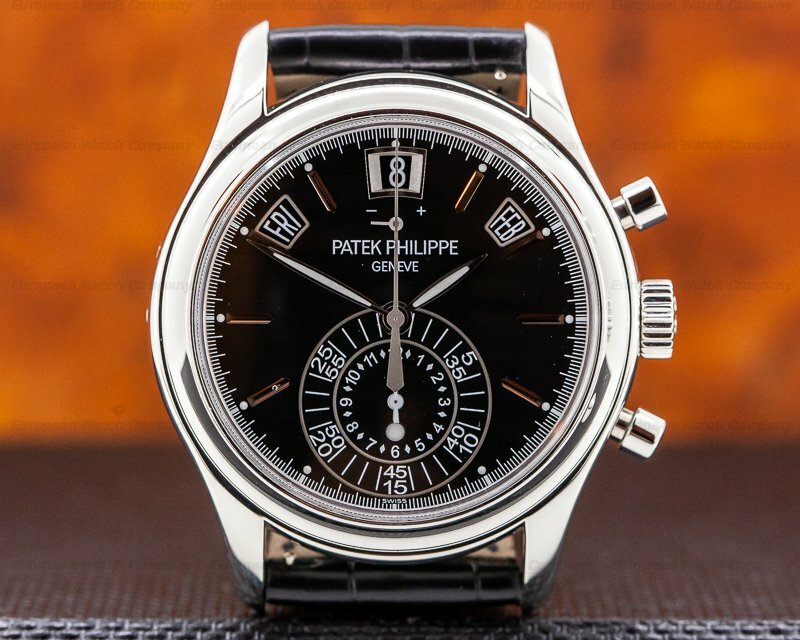 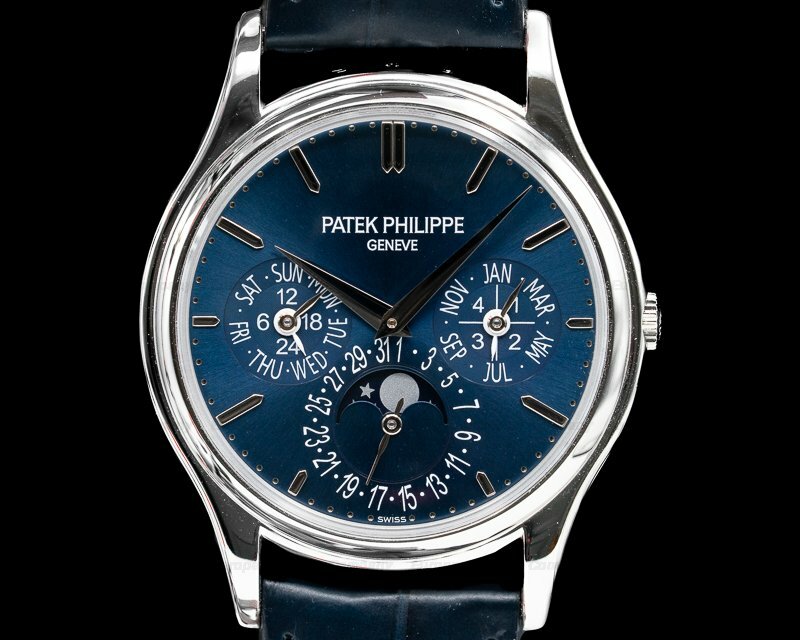 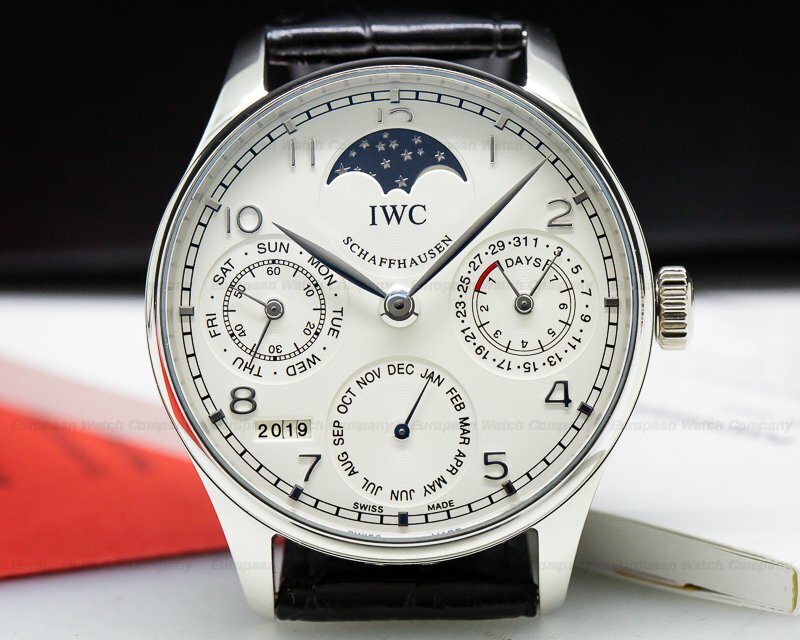 There is an up/down 38-hour power reserve indicator arch at 12 o'clock, a white subsidiary dial for constant seconds at 9 o'clock, and a double 30-minute register at 3 o'clock. 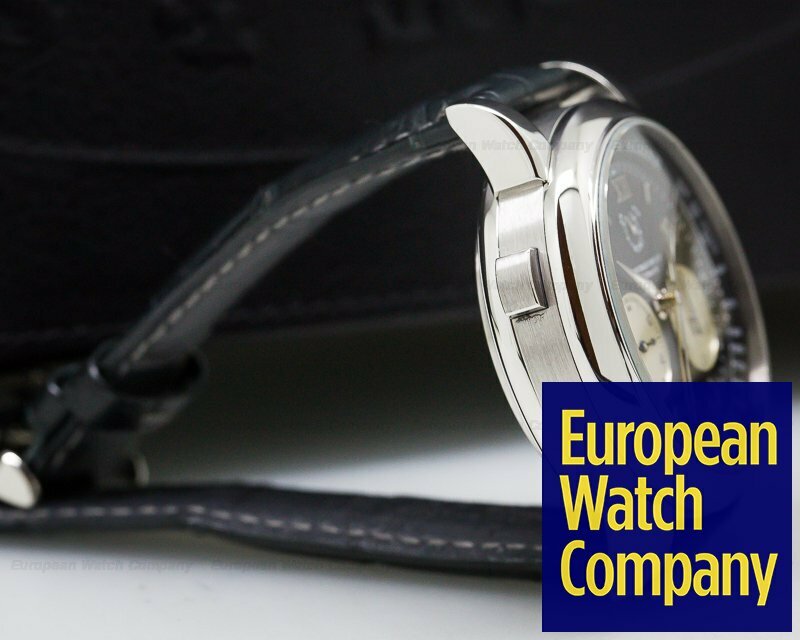 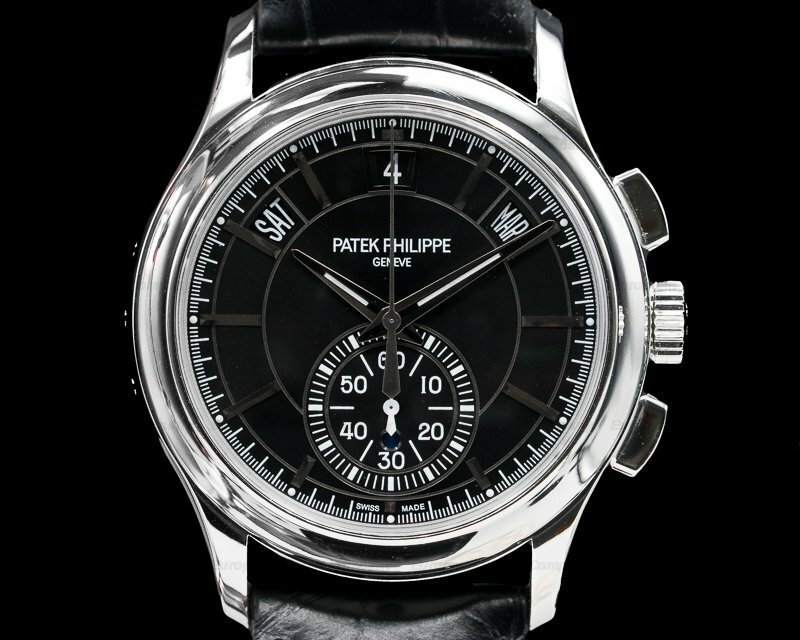 It's water resistant to 25 meters/90 feet, and the 15.3mm thick case, dial, and movement are all signed.